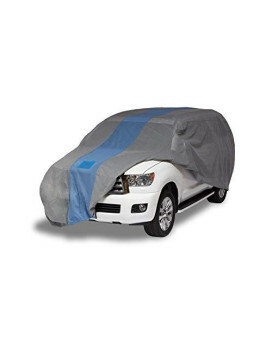 Shield your vehicle during seasons as you stop by, skim through and shop covers online in USA. You can also think about maintaining the condition of spare tires through suitable good quality fabrics. Well, redefine the purpose through car cover storage bags which provide room to store everything you would needing while traveling. TRACTOR COVER COMPACT UTILITY BLK/GRY-MEDIUM/3CSThe Classic Accessories Compact Utility Tractor Cowl..
RV AC COVER GREY - MDL 6 - 6CSThis product includes these features: Fits Dometic Brisk Ii R Air Cond.. Duck Covers Weather Defender SUV/Truck Cover, Fits SUVs or Trucks with Shell or Bed Cap up to 17 ft.. Duck Covers Weather Defender SUV Cover, Fits SUVs up to 15 ft. 5 in. LPerfect for all-weather protec.. Duck Covers Weather Defender Pickup Truck Cover, Fits Extended Cab Short Bed Trucks up to 19 ft. 4 .. Duck Covers Weather Defender Pickup Truck Cover, Fits Extended Cab Short Bed Trucks up to 19 ft. 4 i.. 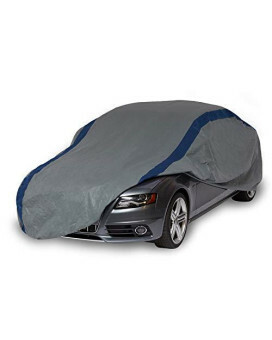 Duck Covers Weather Defender Car Cover, Fits Sedans up to 16 ft. 8 in. LPerfect for all-weather prot.. Duck Covers Double Defender SUV Cover, Fits SUVs up to 15 ft. 5 in. LDesigned for indoor and intermi.. 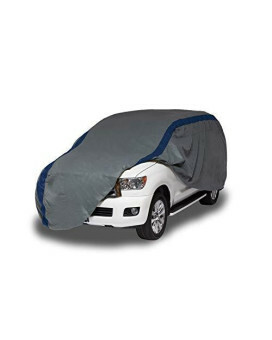 Duck Covers Defender SUV/Truck Cover, Fits SUVs or Trucks with Shell or Bed Cap up to 17 ft. 5 in. .. 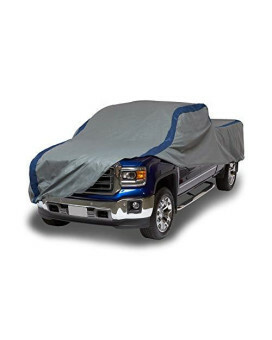 Duck Covers Defender SUV/Truck Cover, Fits SUVs or Trucks with Shell or Bed Cap up to 17 ft. 5 in. L.. Duck Covers Defender Hatchback Cover, Fits Hatchbacks up to 15 ft. 2 in. LExcellent indoor protectio..
Classic Accessories Teton Inflatable Fishing Float TubeClassic Accessories Teton Inflatable Fishing ..
Classic Accessories StormPro Kayak/Canoe Cover - Heavy-Duty All-Weather Protection, 16' L Kaya..
Classic Accessories StormPro Kayak/Canoe Cover - Heavy-Duty All-Weather Protection, 16' L Kayaks/Can..
Classic Accessories StormPro Kayak/Canoe Cover - Heavy-Duty All-Weather Protection, 12' L Kaya..
Classic Accessories StormPro Kayak/Canoe Cover - Heavy-Duty All-Weather Protection, 12' L Kayaks/Can..
Classic Accessories StormPro Heavy Duty Boat Cover, Charcoal, Fits 17' - 19' L x 102"..
Classic Accessories StormPro Heavy Duty Boat Cover, Charcoal, Fits 17' - 19' L x 102" WThe Classic A..
Classic Accessories StormPro Heavy Duty Boat Cover, Charcoal, Fits 16' - 18.5' L x 98&quo..
Classic Accessories StormPro Heavy Duty Boat Cover, Charcoal, Fits 16' - 18.5' L x 98" WClassic Acce..
Classic Accessories StormPro Heavy Duty Boat Cover with Support Pole, Fits 12' - 14' L x ..
Classic Accessories StormPro Heavy Duty Boat Cover with Support Pole, Fits 12' - 14' L x 68" W - Tra..
Classic Accessories StormPro Center Console Boat Cover, Fits Boats 17' - 19' L x 102"..
Classic Accessories StormPro Center Console Boat Cover, Fits Boats 17' - 19' L x 102" W - Trailerabl..
Classic Accessories Stellex All Seasons Boat Cover, Blue, Fits 16' - 18.5' L x 98" WThe Stellex Trai..
Classic Accessories Stellex All Seasons Boat Cover, Blue, Fits 14' - 16' L x 90" WThe Stellex Traile..
Classic Accessories Stellex All Seasons Boat Cover, Blue, Fits 14' - 16' L x 75" WThe Stellex Traile..
Classic Accessories Roanoke Inflatable Pontoon BoatThe Roanoke Pontoon Boat by Classic Accessories i..